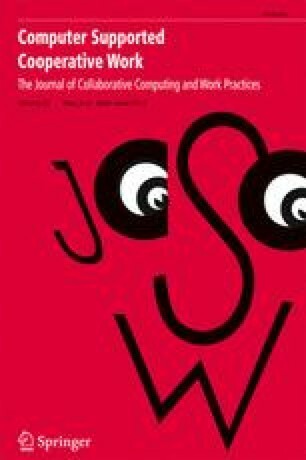 This paper explores the issues involved in moving from ethnographic explorations of work in context to a practical contribution to system design. It does so using the example of an interdisciplinary research project involving sociologists and computer scientists in the domain of air traffic control systems. It forms a pair with another paper (Sommerville et al., 1992) exploring these questions from the perspective of our computer science partners. We characterise ethnography as a research method, and consider the differences between undertaking it for strictly sociological or anthropological purposes by contrast with interdisciplinary and design purposes. We summarise some of our results in ethnographic explications of the work of air traffic controllers, and the sociality which it manifests. We describe the dialogues involved in rendering these observations ‘informative’ for systems design, and the mutual translations implied in attempting to reconcile sociological with software engineering questions about supporting the work. We conclude by specifying some features of cooperative work which an engineering approach is in danger of overlooking; the ways, and limits, in which ethnographers can form a ‘bridge’ between users and designers; and some of the conflicts of interest entrained in generating technical change. The research is funded by the UK MRC/SERC/ESRC Cognitive Science/HCI Initiative with the title ‘Social Analysis of Control Systems for HCI Design’, grant number SPG 8931598. The computer science partners are Professor Ian Sommerville, Dr Tom Rodden, Dr Pete Sawyer and Mr Richard Bentley. Thanks are due to Val King, Kjeldt Schmidt, Ian Sommerville and Tom Rodden for very helpful comments on earlier drafts of this paper.